Weather warming up? Bring out the lightweight chinos. 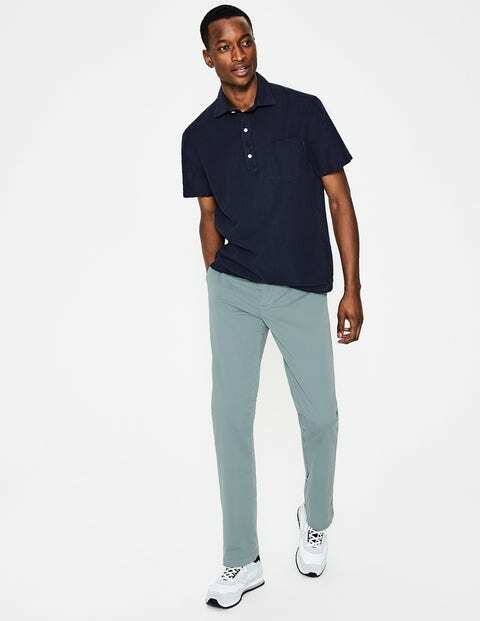 We've blended cool cotton with a dash of stretch, to give flexibility and comfort. Each of the five colourways (one for each day of the working week) is garment dyed for a lived-in look. Team them with a polo shirt for casual weekending, or with a shirt and blazer for watching the rugby.